Take a break and explore Chisago Lakes. As “America’s Little Sweden,” Lindstrom is part of the chain of five small towns that make up Chisago Lakes. Nestled along Highway 8, these small towns work together as one community, yet are uniquely their own. 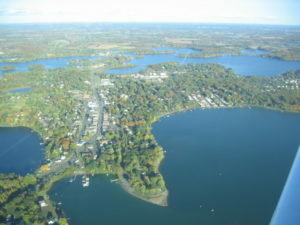 Considered an island among the lakes, Lindstrom is virtually surrounded by water. Encouraged by the bountiful waters and fertile land, the early Swedish settlers felt at home in this special place. Today, this bustling town continues to honor its Swedish heritage through town monuments, Swedish inspired food and its iconic coffee pot water tower. This vibrant small town revels in its community events and busy Main Street. Enjoy the weekly Harmony in the Park outdoor concerts held in Lions Park, join in on the Wednesday afternoon and Saturday morning Farmers Market or plan to visit during the Karl Oskar Days summer festival. And don’t forget to browse through the shops in town. Antiques, quality local artists’ wares, fun boutiques, and Scandinavian finds are intermixed with home-town cafes and lively coffee shops. With twelve parks, this community offers outdoor enthusiasts the chance to immerse themselves in nature, take a refreshing swim or step back in time at historic sites. Allemansrätt Park, located on the northwest side of town, offers 125 acres of wilderness trails. Allemansrätt, translated from Swedish, means “Every Man’s Right”, and reinforces the Swedish free-to-roam tradition. In town, Beach Park offers a great place to spend a summer afternoon with its sandy beaches and playground equipment. At Ki-Chi-Saga Park, tour Nya Duvemala, an original 19 th century Swedish immigrant house used as the home setting for Karl Oskar and Kristina Nilsson in Vilhelm Moberg’s famous Emigrant Novels. Enjoy walking or skiing the wooded nature trail. Trails, small town celebrations, and all things Swedish . 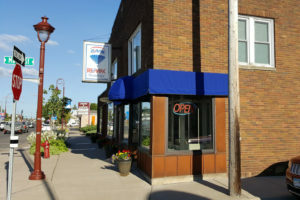 . . It’s all Yours to Explore in Chisago Lakes.